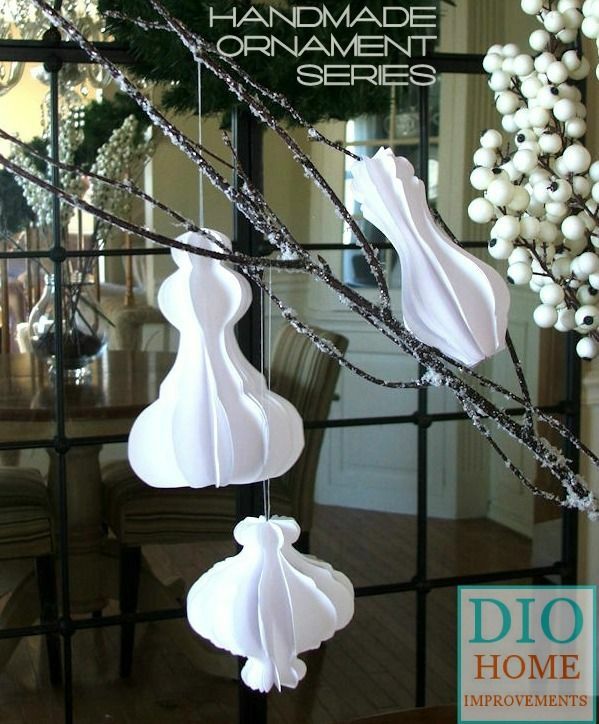 Architectural Molding Inspired Paper Ornaments | Welcome to the Fourth Annual Handmade Ornament Series. This week a line up of fabulous friends will be stopping in each day to share some creative Homemade Christmas Ornament ideas. I love molding and am usually trying to come up with different ways to use it. I recently thought the profile would be a cool shape for a paper ornament. I made three different ornaments from the profiles of some molding that I had in my basement. Here is an example of how I made one of these ornaments. The image below is the profile of a piece of molding. This shape is the short ornament you see in the finished product photos. I used my graphic software and copied this image three times, flipping and mirroring the image to create the image below. 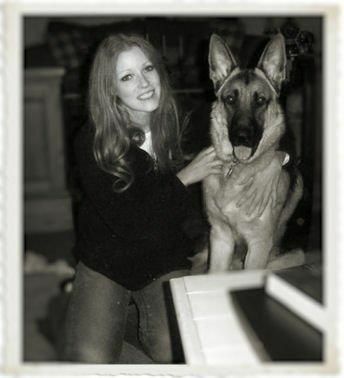 Then I added this image to silhouette and duplicated the image to fit 6 copies on one page. Step One: Print your images out. You need to use 12 pieces per ornament. Step Two: Fold each piece in half lengthwise. Step three: Glue your pieces together as shown below. Glue right next to the right side. Glue two sets of 6 pieces each. Step four: At this point you will have two sets of 6 pieces each like this. Step five: Use a piece of ribbon, string, threat, twine etc in the middle of these two sections make sure to loop and tie it off so you can hang the string before you glue the two paper sides together. My name is Dria and I’m a DIY addict. 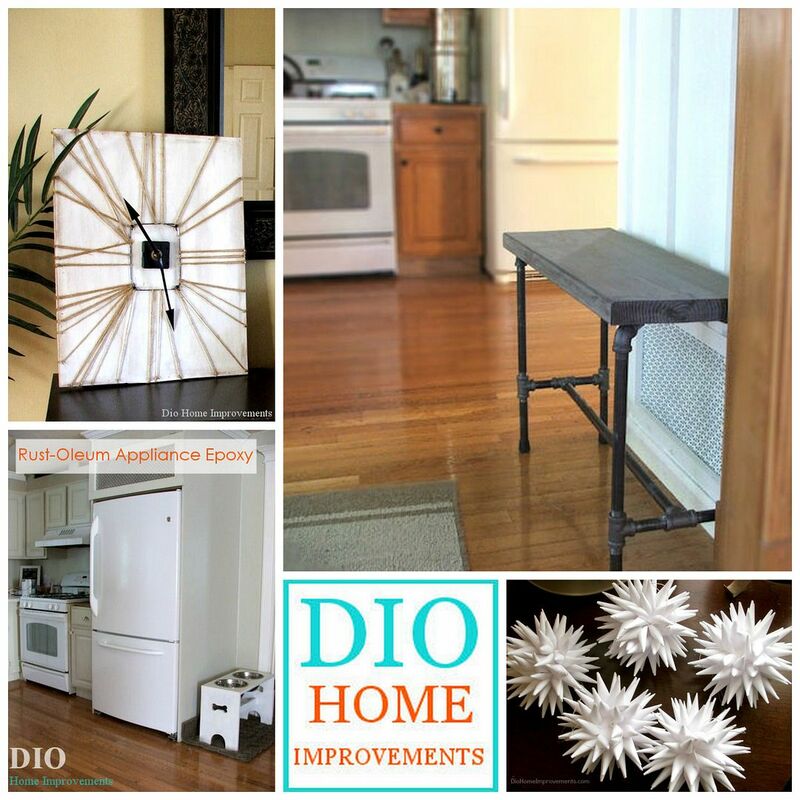 My blog DIO Home Improvements is a place where I share my crafty projects, as well as my home renovations. My goal is to help myself and others make our homes as beautiful as we can imagine! Those are AWESOME! Brilliant, I say!!! 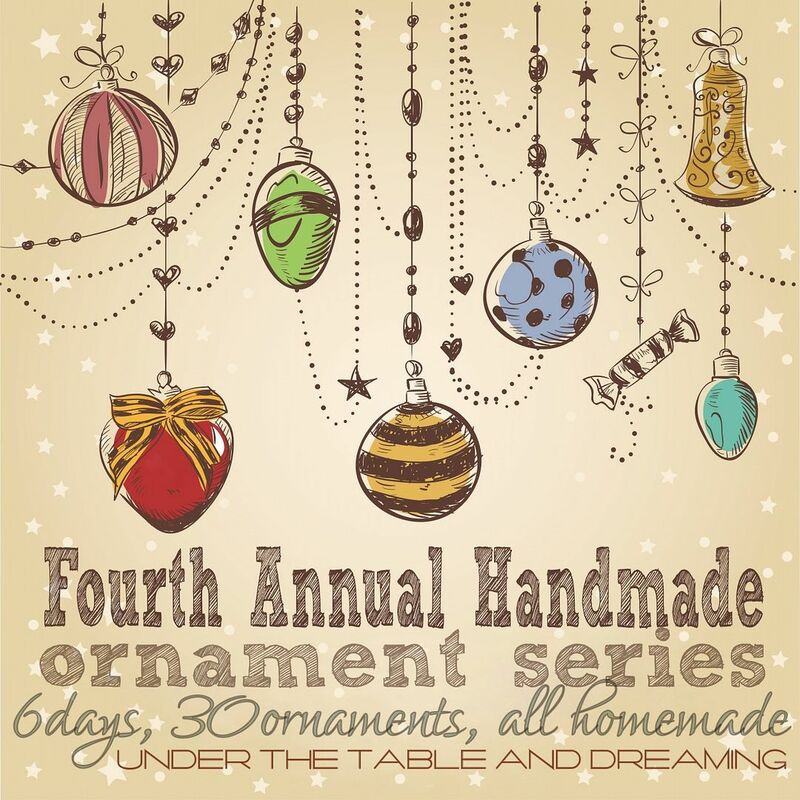 Thank you so much for including my ornaments in your series Stephanie! Hope you have a wonderful Christmas! Wow, love it. That’s so creative….genius and easy to do! These are just beautiful! Thank you for sharing! These are beautiful and so clever!